The economy is in bad shape, and strippers can’t rely on the clubs alone to bring in the cash. It’s time to take the show on the road. 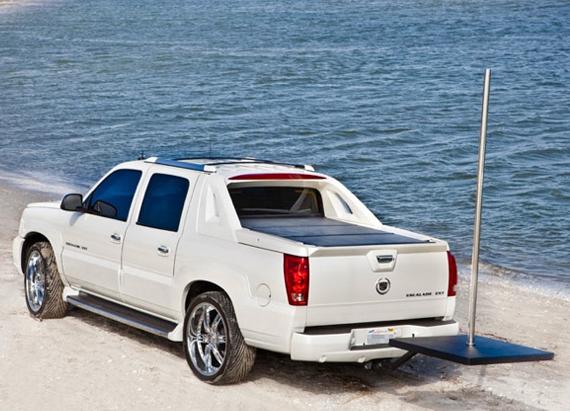 Attach The Hitch Stage to your pimp’s pickup and make it happen.The 3 x 3 platform hovers about 5 feet from the ground and has 7 feet of usable pole, giving you ample room to strut your stuff. Made from steel, it will support to 200lbs, so it looks like it will only support you, Destiny. Just tell Jade to get her own. Does Jelqing Make You Bigger?